I'm starting to build up a new motor for my G1 track bike. I have gathered a clean core motor (28k, almost all highway commuter miles, great compression), G1 kit intake cam, and a few other items. 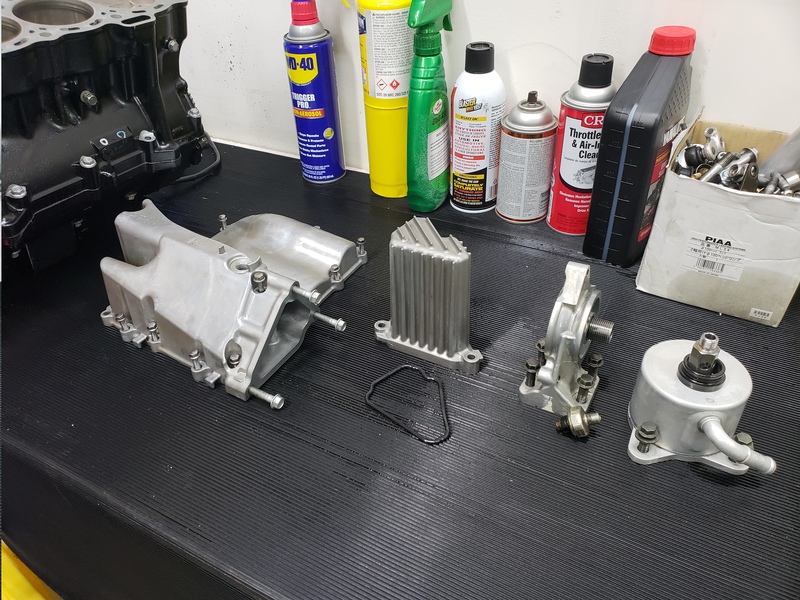 I tore the motor down yesterday to send the head out for a clean/beadblast/mill/port/rebuild and I noticed a few things. 2. the cylinders have great hatch but the tops of the bores have darkened areas where the rings change direction. There is no perceptible ridge in this area. Should I be concerned? 3. I will be replacing the oil pickup and the clutch as I noticed quite a bit of fiber/steel sludge in the sump. 4. I will inspect the generator. This is an 04 motor. Is there anything else I should examine? Should I consider re-ringing the pistons? I did perform a leakdown test on this prior to tear-down and didn't have much on the rings, just on the valve seals which is to be expected at this mileage. Last edited by EvokedPotential; 09-19-2018 at 03:31 PM. It depends how much money you want to throw at I suppose, what brakes suspension etc? If your looking for a little edge on the other guys with similar machines pick up a set of used 2011 onwards pistons and rods you'll get better compression and less rod stretch meaning you can go tighter on the squish. But make sure there fitted before measure up for the head skim. This is assuming you got a good full system and flash. track bike, .020-025 mill, .45mm hg, good serdi or cnc valve seat recut and that gen 1 cam at 107, ex around 106. porting adds power also, but 2nd to the mill/vj. run 5.50's with this combo including porting. that carbon stain ring at top of cyl no concern, can generally be removed with good solvent on cloth or light scotchbrite pad. no need to rering. like the way ur build looking-clean, but would'nt bead blast the head, glass particles get in oil galleys, embed in all the blasted aluminium but release with oil and heat. degreed gen 1 race int several different lc's, these numbers made best hp, torque. who's doing mill/porting vj? Last edited by gaz; 09-19-2018 at 08:19 PM. Head work is being done at competition CNC. 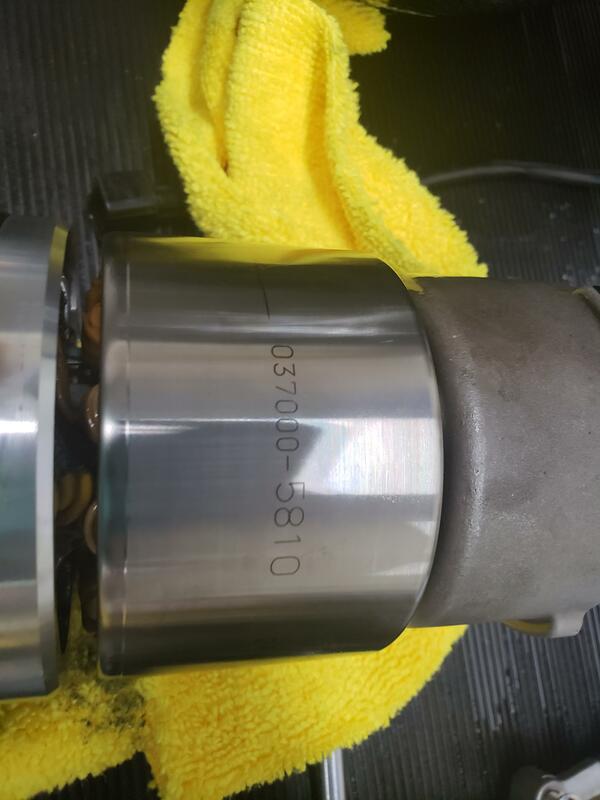 I pulled the generator out, it appears it was starting to run out judging by the paint wear and the "machining" on the case at the rotor shaft area. 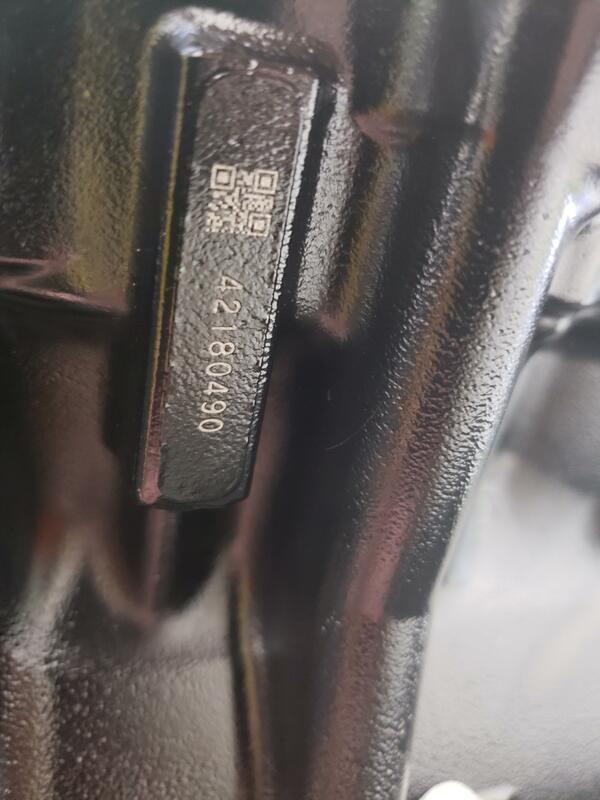 This confirms that the motor was used as a commuter or someone applied the update early in its life. jim at competition cnc does good work, will run well. I'm not sure how he is removing the paint (vapor, chemical stripped, etc) but it will be returning raw. Luckily I live in the high desert so I'm not concerned with corrosion/oxidation. This should be a big boost over the stock, tired motor coming out. I have full ohlins/brembo/akrapovic/PCV-IGN-AT/BST/etc. I'd rather not split the cases since I hear the transmission is a PITA to deal with but I will consider it if you think it's worth effort. From my understanding going big-bore doesn't really add much power over the increase in compression and porting. I would split cases and inspect everything before putting it back together, I'd replace the rings at very least and bearings if they're worn. Otherwise you throw a good head on it and a week later it throws a rod undoing all the work that you have done. Splitting engine is not that hard, you can use service manual and there are videos and write ups too. 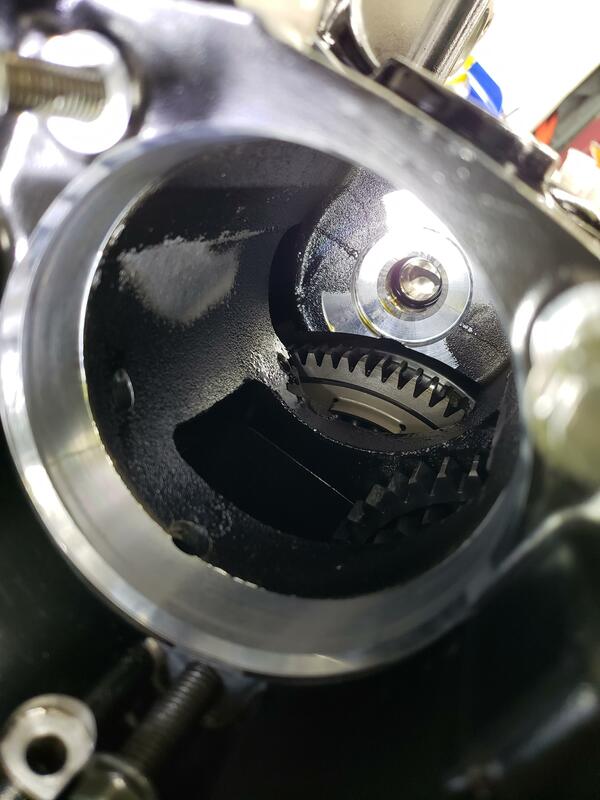 I agree with thundercoupe 100% your spending a lot of money on the bike suspension brakes etc your investing in a head for performance but the most likely place your going to lose power is through those rings, at very least check there gaps are in service, but ideally fit new to the tightest tolerance. 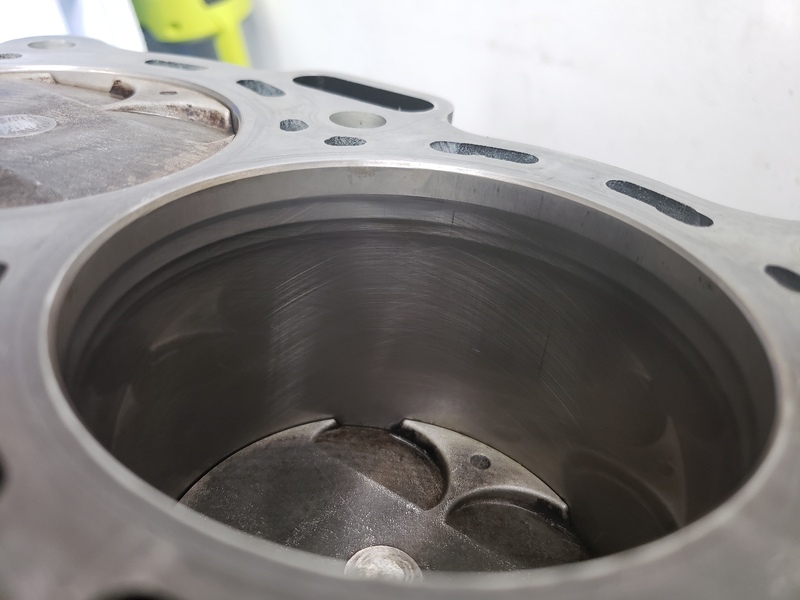 Your also going to raise the rpm limit I expect to match the cam dialing, so bearings are going to be tortured so to speak, yes new bearings add up extra cost but at least inspect them and check tolerance. You can also boost the oil pressure releive valve while your there. The gearbox it would be a bummer if that has dodgy dogs and you start missing gears with that lovely new build. Yes so even just to inspect and check tolerances it's worth the extra time and effort. Fitting G4 pistons and rods will increase the compression and I have got engines at 14000 with 0.55mm squish. It will give you an extra top 3 hp but the middle range torque is up 5flb.